The ‘Methane Coral’ has recently been converted to serve as a bunkering vessel for LNG. ICE played a major role in the original design of this vessel, which was launched in 2009. Designed as a versatile gas carrier, the ‘Methane Coral’ could carry LNG, LPG and LEG. She was an ideal candidate for conversion to LNG bunkering service since her twin pod propellers give her superb manoeuvrability and her dual-fuel engines can use LNG boil-off gas as fuel. 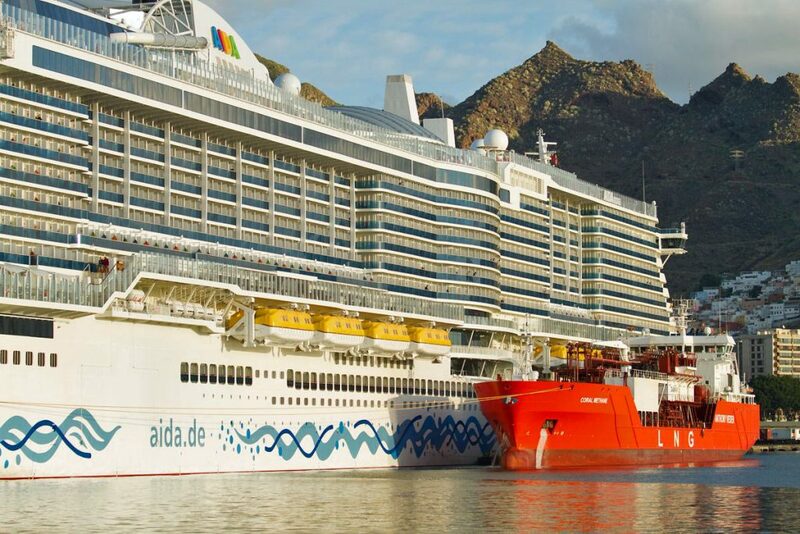 The picture shows the ‘Coral Methane’ successfully executing LNG bunkering operation on AIDAnova, the world’s first cruise ship designed for using LNG as fuel. ICE contributed in the design of her sister vessel AIDAprima; the picture thus dramatically illustrates that ICE is involved in design of ships of very different sizes and types.